Everybody loves cupcakes, even during a recession. This is what sisters Justina Wong and Sylvia Kathol had to remind themselves when they opened Bliss & Co. Cupcakes and Desserts in 2009. 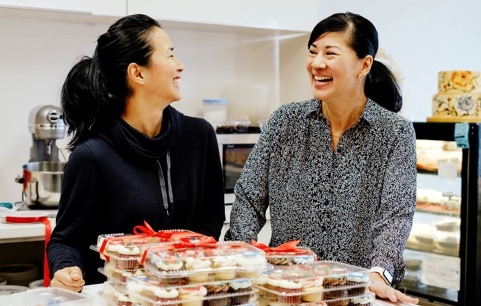 Their first basement bakery in Chinatown outlasted the recession. Almost a decade later, the business has become a foodie destination for rock stars like Steven Tyler and won Avenue Magazine’s Best Overall Cupcake. Through all the highs and lows, the sisters have stuck together. Their relationship remains the bedrock of their business. And as Bliss & Co. expands, they want to establish a long-term relationship with a technology partner that understands their needs. co-owner of Bliss & Co. 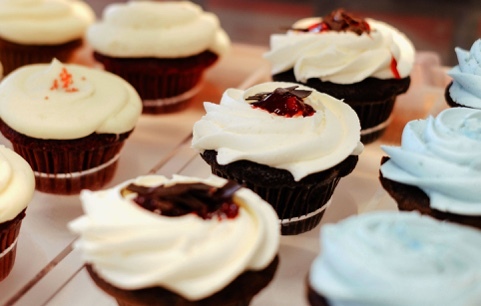 Despite producing 1,500 cupcakes a day, Bliss & Co. has always been a small operation. Even as the company expands, the sisters feel its important to keep working together at the main bakery. In working closely with Shaw Business, they were able to integrate a set of Smart products into their day-to-day operations. Justina and Sylvia can manage everything from a single dashboard, including phone and internet services and security, that they can access anywhere on almost any device. As a small business, Bliss & Co. doesn’t have an internal IT team. Instead, they rely on Shaw Business to protect and secure their data and network while they focus on what they do best – making delicious, sugary treats. Shaw handled all the installation and setup while SmartSecurity and SmartSurveillance added extra layers of protection that made it easier for them to sleep at night. “I can operate my business without any worries that something bad will happen, like a cyber attack,” says Justina. “At the end of the day, having SmartSecurity in the background gives me the comfort of knowing our business is safe,” “And our customers too,” adds Sylvia.